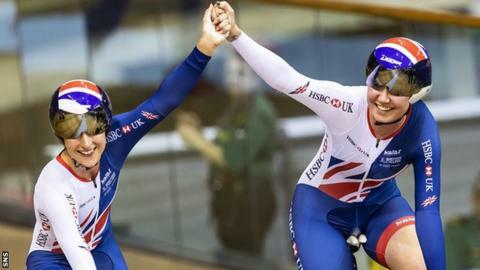 Katie Archibald had to ask her mum to stop sending her newspaper cuttings about her underwhelming Track Cycling World Championships performance. The Olympic champion took silver in the team pursuit in Poland earlier in March, but crashed in the omnium after stepping in for Laura Kenny. The Scot, 25, then missed out on the madison in Pruszkow with concussion. "I don't have to hide away from criticism much because it doesn't find me easily," Archibald said. "But after this Worlds I had it a little bit with my mum where she'll send me articles. I explicitly asked her to stop sending so it doesn't affect me." Archibald returns to the track this weekend at Six Day Manchester and looking to recapture the standards that have earned Olympic gold, three world titles, 11 at European level and gold at last year's Commonwealth Games. "I'm not sure I would characterise it as frustration, it was more dejection," she said. "It was lowness about my own performance. I don't necessarily feel any better now, I'm just further away from it and don't think about it every day."